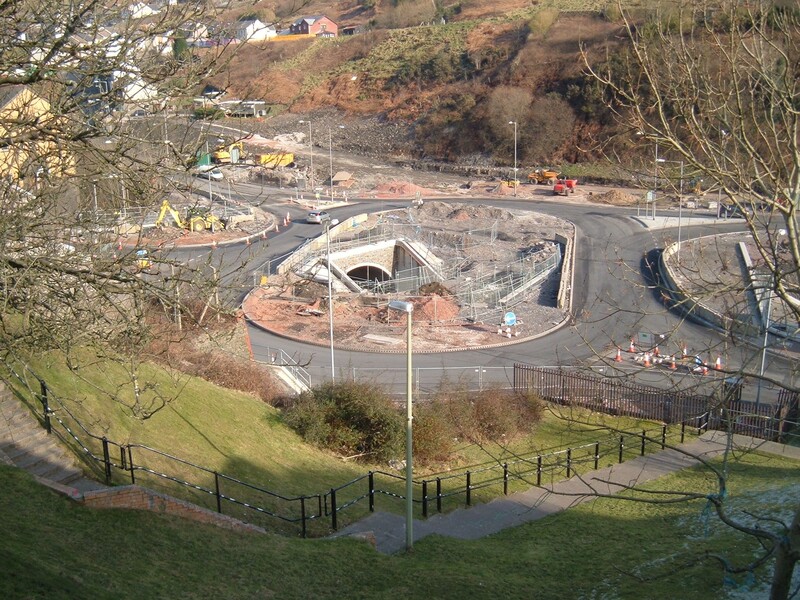 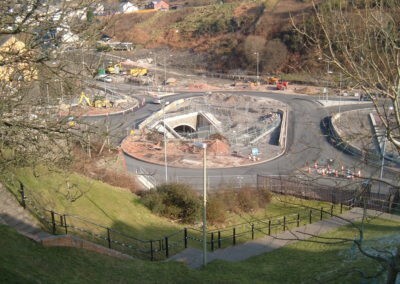 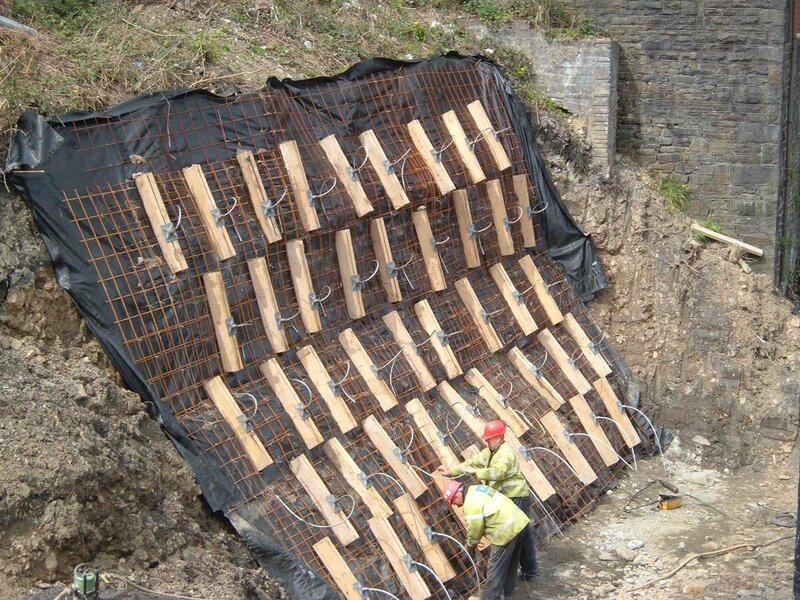 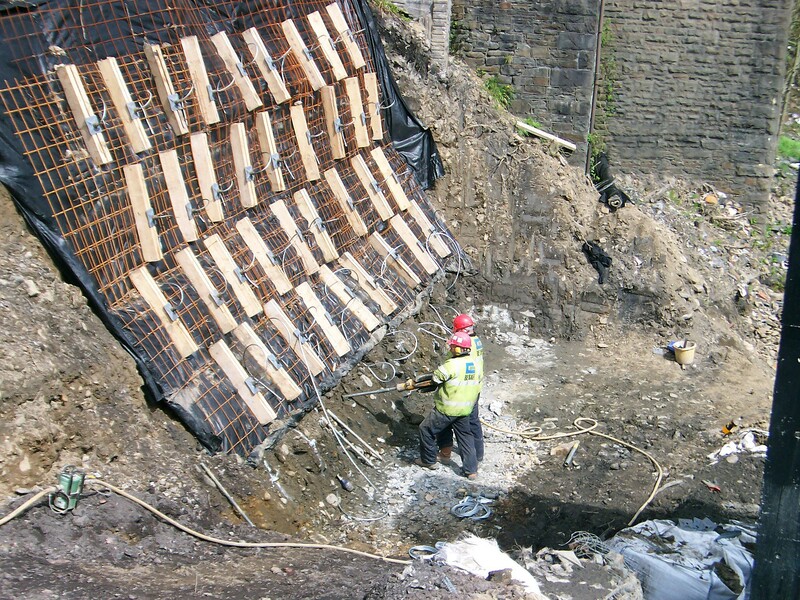 As part of the relief road construction, two pre-cast culverts were installed below a new intersection to allow uninterrupted flow of the river Rhondda Fach. 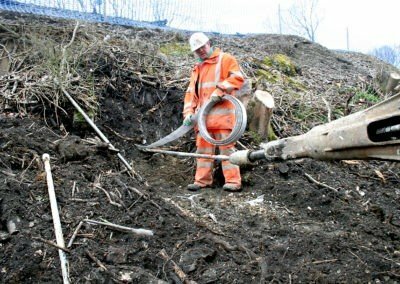 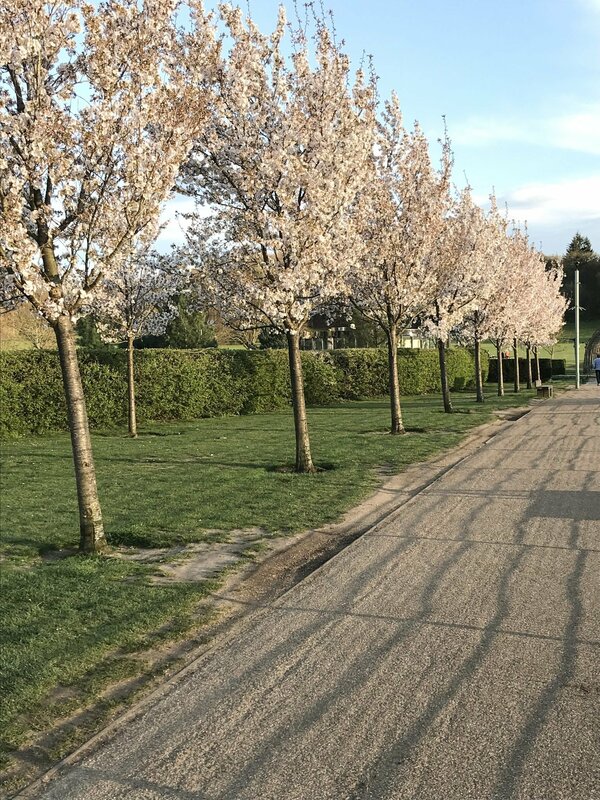 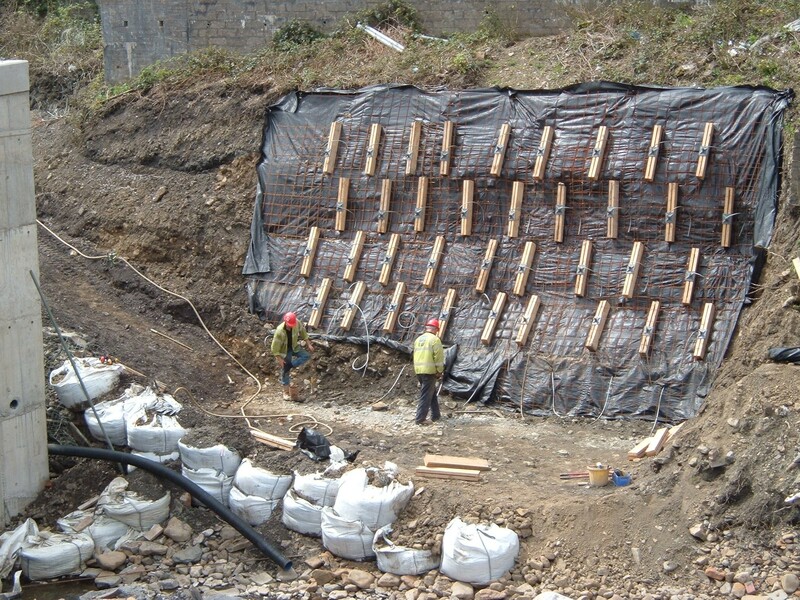 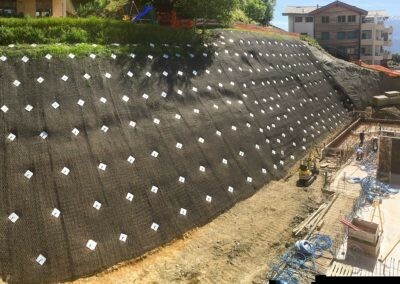 To facilitate construction excavation of the existing embankment was necessary. 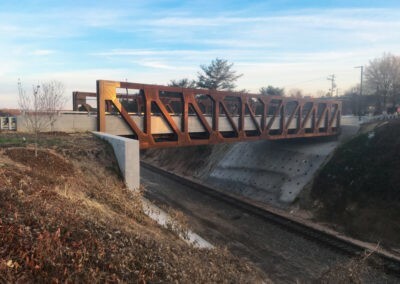 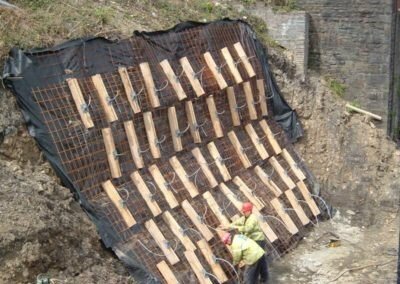 This required additional temporary support to the slope, retaining wall and the road above. 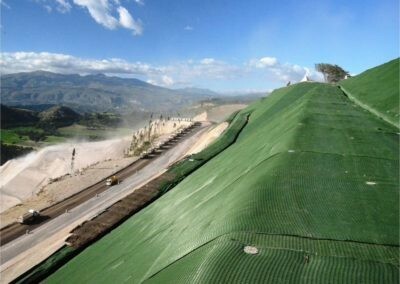 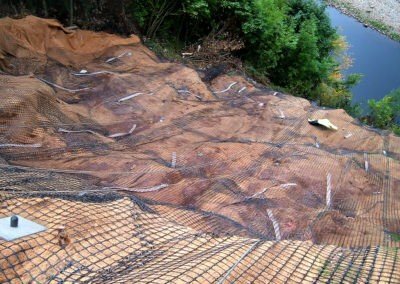 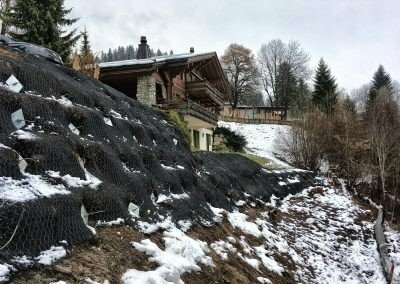 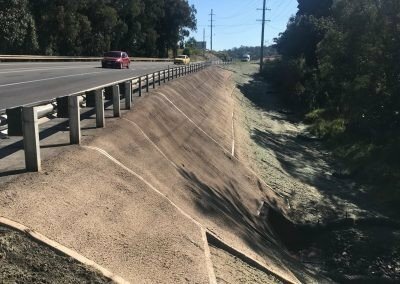 The slope was cut back to 60° and a geotextile membrane and wire mesh were laid on top to strengthen the embankment and prevent washout. A total of 5 rows of anchors were driven perpendicular into the slope to a depth of6mat equal spacings. 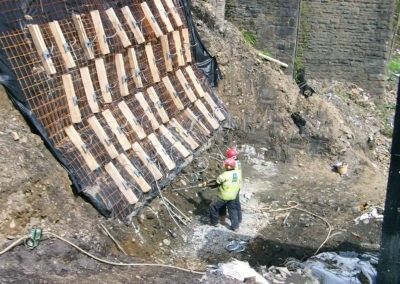 Due to the close proximity of the river hand held installation equipment was utilised. 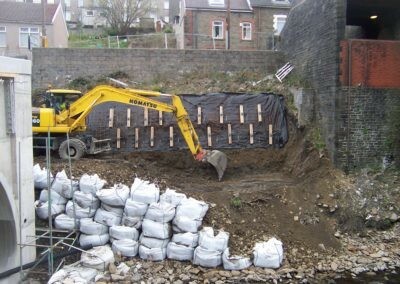 The anchors were then loadlocked and timber soldiers were used to spread the load evenly across the slope. 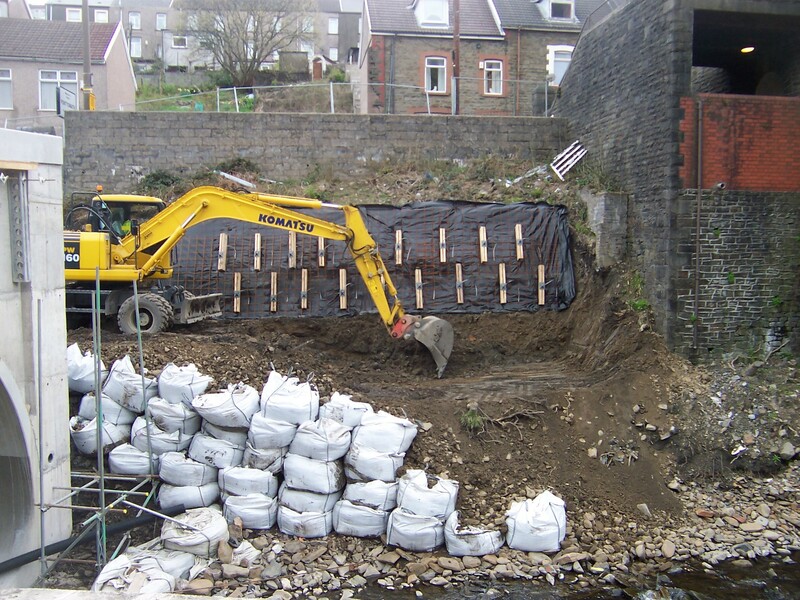 The client was so impressed with the system that it was specified on four additional phases.